The Hubs and I went on our annual Bangkok trip a few weeks back. I didn't do much hauling in terms of fashion and accessories coz as much as I would love to haul up a storm, the clothes do not appeal to me anymore. I am sure it is coz of age ... sad but true. Bangkok is still a fashion mecca for youngsters. Well, instead of scouring the night markets and streets for interesting finds, I satisfied my buying urges with these lil' loot. First up, I purchased this Sugarlicious beauty box from Benefit @ Siam Paragon. After the conversion to SGD it was about $45. I have not been to Sephora in Singapore lately, so I am not sure if the price is similar. I've been wanting to try the Benetint as well as High Beam but I am unwilling to fork out money for the full sized items coz with my drawer-ful of blushes, deluxe sample sizes of these two items is just perfect. It comes with a Sugarbomb blush as well as the Sugarbomb lip gloss. Before boarding the plane at Changi Airport, I snagged this Philosophy Miracle worker set. There's a 'travel exclusive' sticker on the box, so I suppose it's not available at regular stores. OH yes, ... here's something that I will not leave Bangkok without. I buy these Bayer Aspirin by the box and I usually get weird looks by the counter staff. They must be wondering if I am nursing a permanent headache with this stash of pills. They are about 70 cents for one full tab. 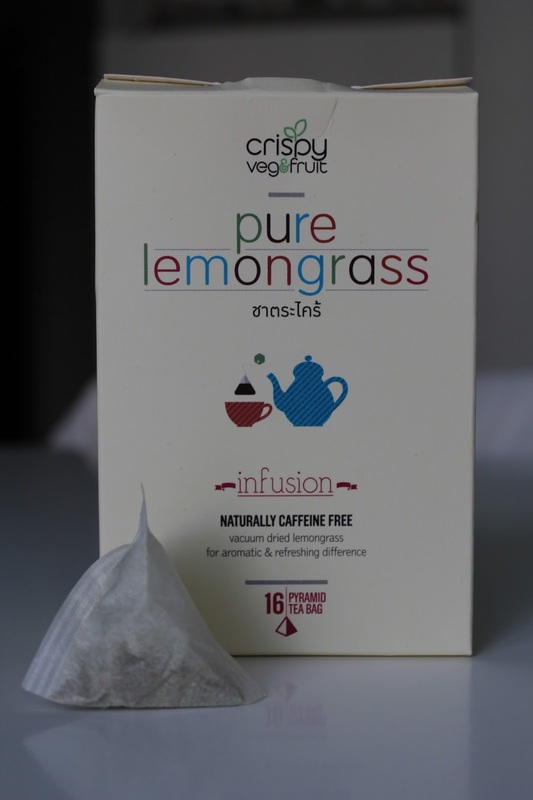 This time round in BKK, I decided to purchase some lemongrass tea. I tried steeping these leaves but I find that boiling water is not enough to bring out the aroma. So I ended up boiling the leaves as I would if I used fresh lemongrass and pandan. Although it's handy and I'm able to store these dried leaves for a long period of time, I do not like the idea of having to boil them like I do with fresh leaves coz I get ants in my pants whenever I have to keep watch at the stove. So, no no to the loose leaves that I bought... but YES! to these lemongrass tea bags (",) ... They are about 65 Baht if I am not wrong. Oh yes.... I always buy these elastic hand ties when in BKK. It's really sad coz the lady who sets up a roadside store at the tip of Platinum Mall no longer sits there. Coz Novotel Bangkok Platinum's security has set up post at her spot and I guess she is no longer allowed there. Each tiny packet still contains hundreds instead of tens of thousands bands in the BIG packet. It's still a good buy coz I love the quality. They are really rubbery and stretchy and they do not snap easily. I've tried many random brands but they all get over stretched and eventually snap before I could secure The Kid's hair. Someone tempted me with these coconut rolls while at work and I cannot believe that I've never tried them on my numerous trip to BKK. This time round, I bought some and I regretted not buying more... they are soOOOooo yummy. Lots of the shops at the airport sells these. So, if you're thinking of getting them for relatives, you can do a last minute pitstop at the airport for these.